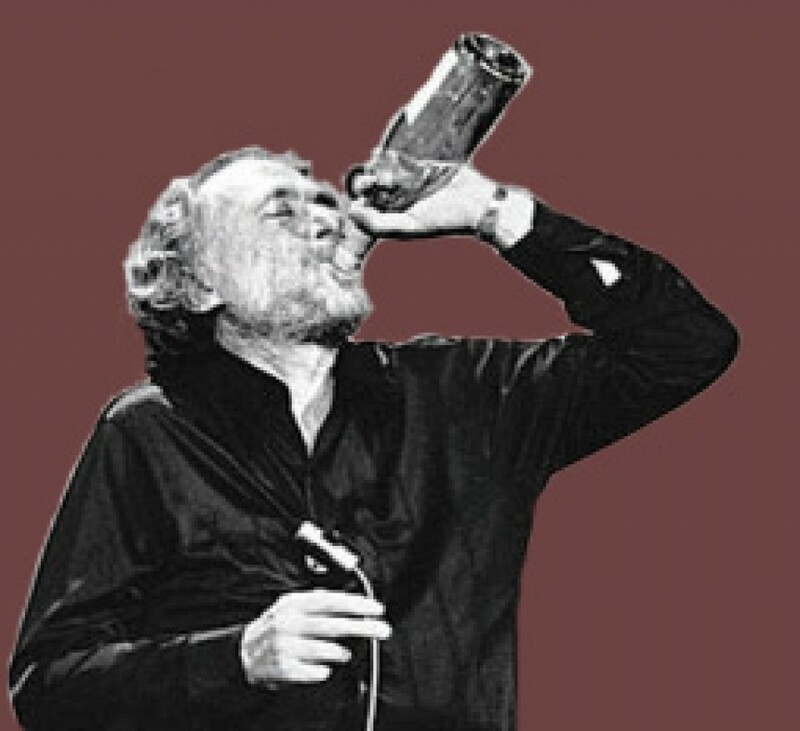 Cabernet Sauvignon – Would Bukowski Drink It? One of the things that I really love about wine is finding a new winery and tasting their wines. 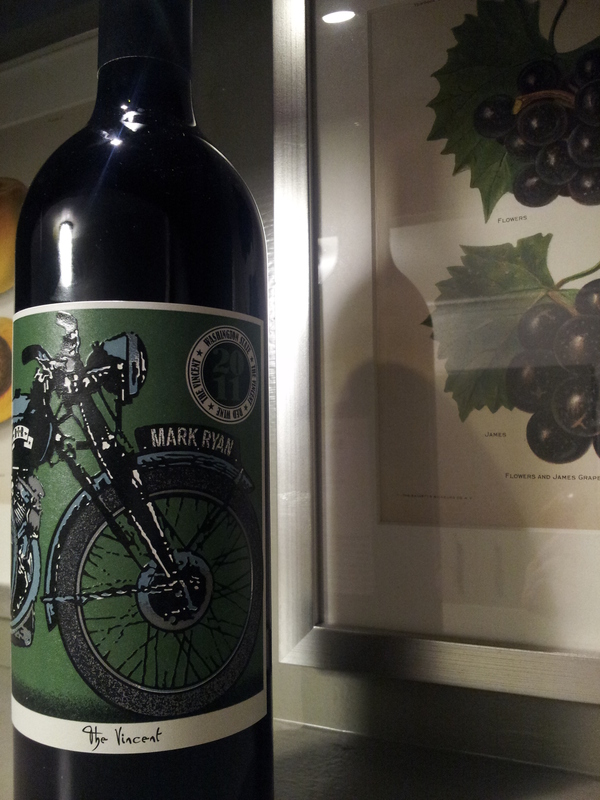 Friends have mentioned Mark Ryan before and I’ve read about the wine maker and his wines from time to time. I finally picked up a few of his 2011 wines and The Vincent was the first I cracked open. I was not disappointed in the least and wish I hadn’t waited this long. The Nose of “The Vincent” is big and fruity with some herbaceous tones. Black berries, spice, subtle leather notes, clover and a hint of coffee. I did not let the wine breath that long and it was pleasant from bottle to glass. The Vincent has a full long finish with long legs. Full bodied with lush mellow tannins. A deep purple color mixed with complex fruits; plums, prunes, cherry, currants, with background flavors of licorice and orange rind and a slight earthiness. I enjoyed The Vincent on its own but could easily imagine it paired with blue cheese, olives, fig spread, onion jam, rustic breads, on the lighter side, and it would compliment grilled meats, particularly a nice Rib Eye, BBQ’d, perfectly. I highly recommend this wine and at $20 its a value. Expect more from Mark Ryan in my future reviews. Mark Ryan McNeilly founded Mark Ryan Winery in 1999 with the goal of making the best wines in Washington State. Largely self-taught, Mark honed the craft of winemaking through rigorous study and the welcomed advice of some of the area’s most experienced producers. In the early years the winery was transient. The first vintages of Long Haul and Dead Horse were produced crushed and pressed in garages of friends and family, barrels aged in warehouses in the Seattle Area, and finally settling in Woodinville, WA in 2003. Would Bukowski drink it? .